NVIDIA is on the verge of launching its new GeForce GTX 660Ti and to tackle it AMD has already given its Radeon HD 7950 a clock boost with a new BIOS update. The new BIOS updates pumps up the 7950’s frequency from 800MHz to 900MHz which is no big deal for the Tahiti chip powering the GPU. Other specifications remain at reference, 1792 Stream Processors, 3GB (384-bit) memory and 32 ROPs. AMD already gave several price cuts to its Radeon lineup to tackle NVIDIA 600 series and now trying to make NVIDIA’s day bitter by pumping up the clock speeds of existing GPUs. 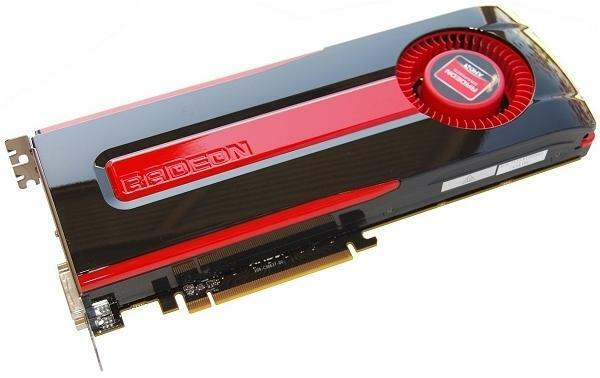 The sub-400 dollar HD 7950 would go head to head to the upcoming GTX 660 Ti which is going to be priced at a reference $299. NOTE: Set your card’s BIOS selector switch to “1” (if available), and update the BIOS. 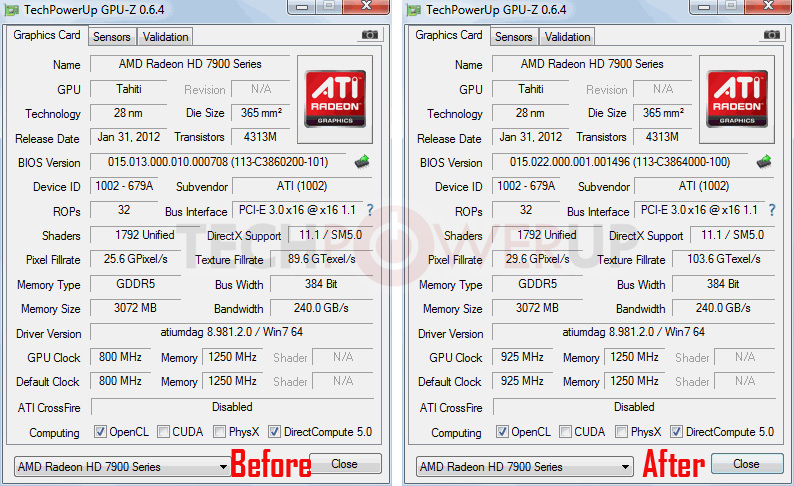 It works only with AMD reference-design HD 7950 cards.